I purchased Chinua Achebe’s When Things Fall Apart on sale as an audiobook. When he died in March 2013, I made it a point to listen. It begins as a vibrant portrait of a pre-modern society. Pre-modern does not mean primitive. There are laws, customs, commerce, and religion. The main character, Okonkwo, is a rich, fascinating character. Living in the shadow of his ne’er do well father, Okonkwo strives for wealth and honor. He is capable and brave, but sometimes quick to temper. So afraid to ever appear weak or unworthy, as time passes, as for so many of us, his virtues shape his vices. His choices haunt him. It is all very compelling. This is what is so fascinating. The world depicted is not a simple pack of hunter-gatherers - it is a sophisticated society. Oknonkwo’s goals and dreams are fundamentally the same as our own – but with so much of the detritus of modern life stripped away. This depiction of life made me think of my readings of Aristotle and Plato and the glimpses of life in ancient Athens received through their eyes. In the Nicomachean Ethics, Aristotle wrote about how people pursue honor, wealth, pleasure, and justice. Stepping back from the details, we still pursue the same things. Stripped down, our careers, social media presence, and what have you are essentially new mechanisms for these same basic drives. Human beings haven’t changed. Achebe’s work helped bring that home. For recreating this world and drawing us into it with a compelling character, Achebe demonstrated tremendous literary skill. A reader could easily have followed Okonkwo’s life; that alone would have been a satisfying read. Then, the British arrive. British justice tears apart the society’s law. Christianity undermines the local beliefs. Objectively, the imported religion may be more just; it first attracts the slaves and the outcasts. 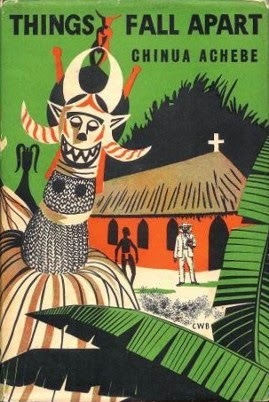 Achebe does not hesitate to depict cruel customs. But these changes render the society’s honors hollow and the objects Okonkwo spent his life pursuing lost their meaning. Part of the genius of When Things Fall Apart was its depiction of a complex, sophisticated society shattering from its encounter with Western civilization. It is a sobering story, one that remains relevant. The encounter that Achebe describes is continues, in Africa, the Middle East and elsewhere. The book was set in the 1890s. This may be beyond living memory, but it is a mere instant in human history. But another compelling aspect was in the commonalities in Okonkwo’s life and our own. The key to literature is developing characters who have some deep appeal (they may not be likeable, but they have something) and then doing something horrible. Achebe shows us Okonkwo, a complex man, a man in full, and then he destroys Okonkwo's world. Not with a natural disaster, where Okonkwo's reserves of strength would allow him to rise to the occasion - but with a better bigger world, one with which his own cannot compete.